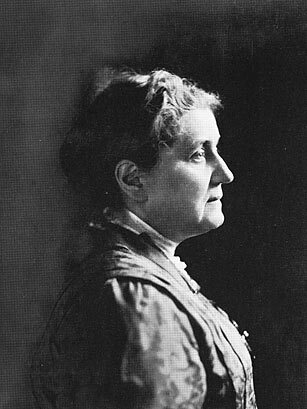 Any down-on-his-luck person who's been helped by a social worker has Jane Addams to thank. In grimy late 19th century Chicago, she pioneered the idea of settlement houses that offered night classes for adults, a kindergarten, a coffeehouse, a gym and social groups meant to create a sense of community among the downtrodden of the neighborhood. Her Hull House was a residence for about 25 women, and at its peak was visited by more than 2,000 people a week. As her community influence grew, Addams was appointed to prominent state governmental and community boards, where she focused on improving sanitation, midwifery and food safety and reducing narcotics consumption. An ardent pacifist and outspoken advocate for women's suffrage, Addams was also the first American woman to win the Nobel Peace Prize. See TIME's 1937 piece on "Social Service: Carr to Hull House."